Hellyer Gold Mines is set to add life to the Hellyer operation in Tasmania by reprocessing tailings from previous operations. 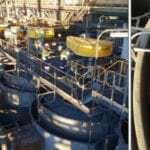 The company, a subsidiary of NQ Minerals, plans to extract gold, silver, lead and zinc from the tailings in the site’s refurbished processing plant using modern technology and processes. 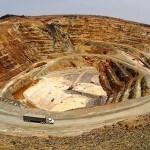 Hellyer aims to start production in September or October when it expects the plant to be commissioned and operational. The company will employ around 50 people full-time for the operations phase. According to Hellyer, the existing tailings dam has roughly 9.5 million tonnes (Mt) of material containing high-grade gold, silver, lead, zinc and Pyrite. 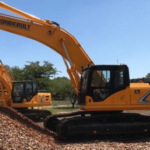 Hellyer director Steve White said the company would extract the remaining minerals rather than break new ground at the operation in the state’s north west. “The EPA has given approval to operate until at least 2028 and as the recovery operation proceeds any previous environmental damage and contamination will be repaired,” White said. “Employees and contractors are currently working on the world-class processing plant to make it operational after six years under care and maintenance. Once the tailings are re-processed the dam’s volume will be reduced by around 50 per cent, White said. The residue will be stored in a new, modern tailings dam, while the existing dam will become a lake once it is emptied. The company is taking a “very careful, methodical approach” to the project, according to White. “We are cognisant of our need to operate to the highest possible environmental standards and have implemented a very robust and comprehensive environmental management system. Further, we have commenced remediation work using local contractor’s on previous operators legacy issues,” he said. 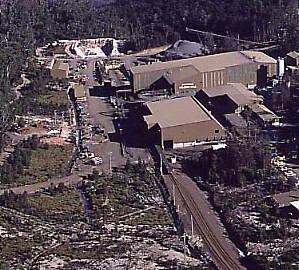 The mine was previously owned by Bass Metals.